It may seem like an obvious statement to say that “elite sprinters run differently than the rest of us”, but in reality, many just assume that most poeple run the same, and the fastest people just have faster leg speed, longer strides, more force into the ground, etc. All of this may be true, and in fact studies have shown that elite sprinters, despite running 80% faster than average runners, only apply about 30% more force into the ground, and have only a slightly longer stride length and slightly quicker frequency. This can influence many to think the previous statement, that running faster is simply a faster version of slower running. However, one study, that has now been replicated a few times and is getting similar results, has shown that when broken down in terms of form, elite runners actually do run differently than the rest of us. This short video from Coach Jim Kielbaso of the IYCA can teach us 3 valuable lessons. The first, and likely most valuable, lesson to be learned from this example is that it is ok to be different. And we do not mean being born different and just learning to be ok with that, but rather working hard to become different, and therefore great. By very definition, being great has to be different than the rest of the population, or everyone would already have achieved it. Most people toay are ok being on the same level as everyone else, and may even be afraid to try something for fear of being perceived as different than the rest of their family, friends, team, etc. However, as coaches we should be teaching athletes, especially from a young age, that it is ok, and in fact admirable, to be different than everyone else. Another point to be made is how being different is not only beneficial, but the how a small difference in effort can have a massive impact. In the research study that Coach Kilebaso describes, a 30% (or less) difference in force production was enough to make a sprinter run 80% faster than everyone else. In an age where everyone (especially youth) wants more bang for as little buck as possible, this should be a relatively easy selling point. It is also easy to teach children this concept in that they do not have to work that much harder, or be that different, to see results (at least at first). Finally, a very important lesson – and perhaps the one that is the most difficult to swallow – is the importance of genetics in speed and athleticism. The same elite sprinters that “run differently” have the “unteachable speed” that many crave and talk about all the time, and spend their lives trying to emulate. Genetics play a huge roll in athleticism; and while any athlete can gain strength, speed, agility, etc., a genetic ceiling does exist, and there will always be those that have an advantage from birth, based on their DNA alone. The easiest way to see that this is true is to look at the parents, grandparents, and great grandparents of great athletes, whether at the college level, professional level, or even Olympic. You will likely find that at least one, probably two or three, members of each of these geneologies have played sports at the higher level. This is not to discourage the rest of us, but to keep us grounded and realistic – there are some things we cannot achieve, and so why strive for them? But rather, focus our energy on real goals and becoming great in ways and areas that are reasonable for who we are. 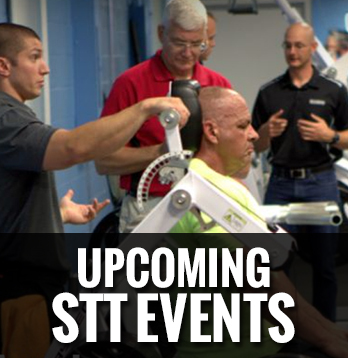 Be sure to visit STTEvents.com to see when STT will be hosting professional development clinics in your area. Be sure to register early for the #12SCADConf on July 20-21, 2018. 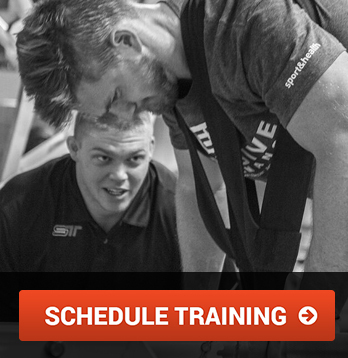 There is no question that soccer players are serious about fitness. Find out where you should be, and how to get there, when you CLICK HERE. Soccer season has become a year long sport. 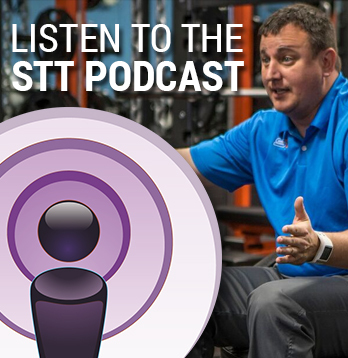 Make sure you are prepared, confident, and playing at your best with STT. The Pendulum Strength Grip Cart from Rogers Athletic gives us a TON of versatility for us to train anything grip related. The huge wheels gives us the luxury of rolling the equipment to any location within the facility. 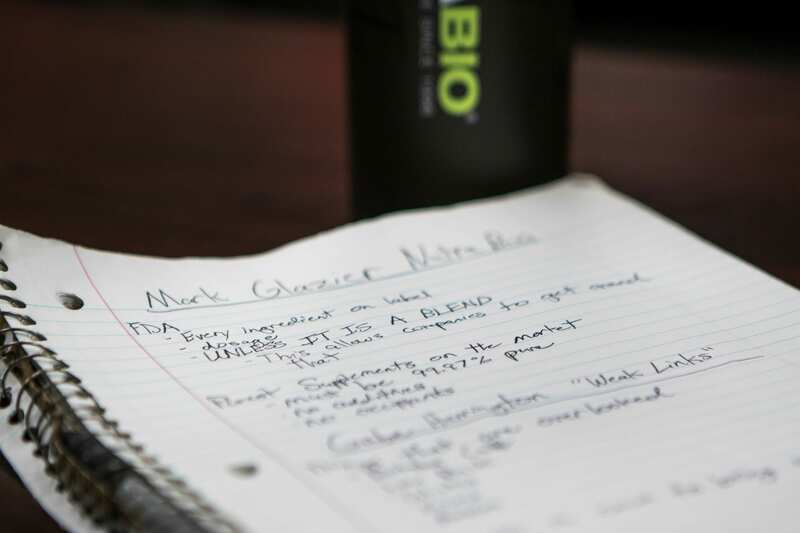 Check out some of the protocols we use when you CLICK HERE. Thank you to all our sponsors for their support. 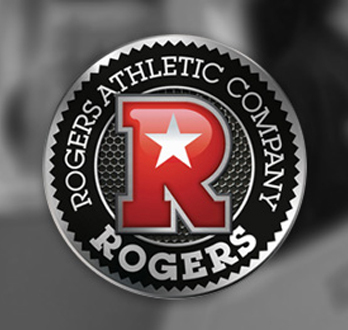 Rogers Athletic offers the best on-field and at-practice equipment for Football. Plus they also feature the Pendulum Strength line which is featured at SMARTER Team Training’s facility and events around the country.